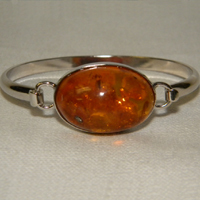 We here at Diana Jewelers pride ourselves on carrying a wide range of styles and options to suit anyone's tastes. At the same time, we understand that no matter how robust the selection can be, you just may not be able to find that perfect piece of jewelry to compliment your lifestyle. We want you to know that if that situation ever arises, it's not the end of the line at Diana. We offer custom merchandise through the utilization of cutting-edge digital jewelry design software to create that unique product that you are looking for. CAD/CAM, or computer-aided design and computer-aided manufacturing, is a process of using software to design and manufacture completely unique and customized products based on user input. Let's be honest, only you know what you want and with the help of our specialists and the power of computer design, Diana Jewelers can get you from your idea to that striking necklace, broach or whatever accessory you are looking for. So how does it work? It all starts with an idea. We know that you spent a lot of time picking out that striking dress for your next dinner party and you want a perfect match when it comes to an accessory. You know what you want and all you need to do is bring that idea into the store with you. From there our specialists will work with you to build a computerized, 3D model of your idea. You'll get a chance to view it from all angles as if you were holding it in your hands. The biggest benefit of CAD/CAM is the fact that your ideas can be tweaked and changed until it's just perfect. 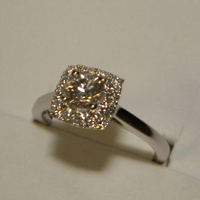 And when it is perfect, the design can be made into a reality through our team of expert jewelers. You are special and you deserve to look your best. While Diana Jewelers works very hard to stock a wide array of quality and fashionable items, we want you to know that even if it's not in the case, we can make it a reality. Stop in and see our selection and ask us about our digital jewelry design services. We're here to listen and create for you.